Davis drew plans for the expansion of Old East and Old West to provide larger quarters for the two debating societies. He created a new, tall northern façade to impress visitors with its “august” and “grave” character. These distinctive northern fronts contain central windows that Davis called “Cyclopean eyes.” The flanking piers give the façade the feel of an ancient temple. He placed decorative bracketing under the eaves and lit the upper floor with a flat-topped lantern or pavilion. 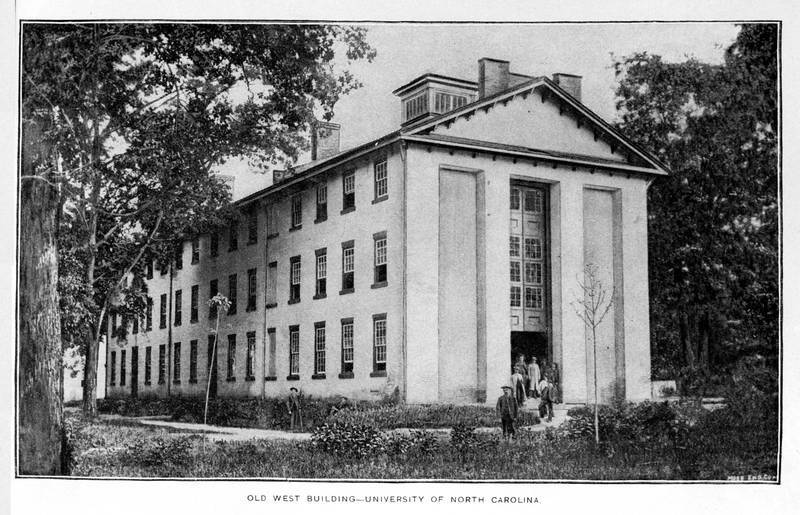 Inside each building, the second floor contained a meeting room that Davis called an odeion, or debating hall. The third floors had barrel-vaulted ceilings and held the libraries—or bibliothecas, as Davis referred to them—of the debating societies.